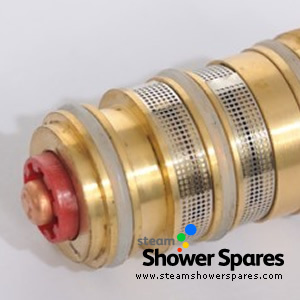 Thermostatic cartridges, Thermo Cores, they go by many names but are essentially the same thing - Thermostatic Cassettes / Cartridges enable you to regulate the water temperature in your shower. 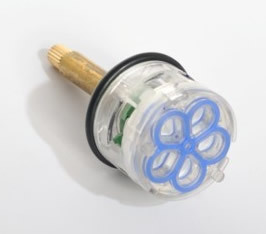 If you have found your shower water is getting colder, even when you turn the dial fully round, then this is a clear sign the thermostatic Cartridge needs to be replaced. 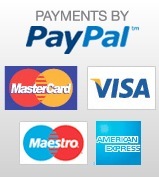 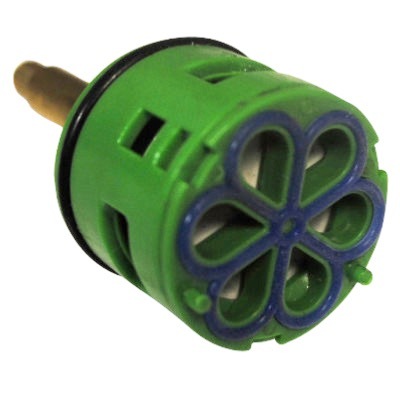 Type 6, Type 8, Type 12, Vernet Wax Sensor Type, ColorSpa. 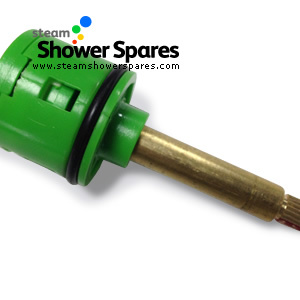 Our thermostatic cartridges are compatible with various models sold by the following suppliers in the UK: Bathtek, AquaLusso, Brownes Health, BPS, Cascada, Bath Depot, Lisna Waters, Victorian Plumbing, JT Spas, Cascada Bathrooms, Niko, Ultra Finishing, Alto, OPUS, Indigo Showers, Superior Showers, Better Bathrooms, Brownes of London, Insignia, Heat & Plumb, Divapor, Steam Shower Supply, Eden Steam ShowersBathtek, AquaLusso, Brownes Health, BPS, Cascada, Bath Dept, Lisna Waters etc. 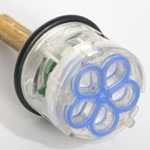 Always remove your cartridge first to check we can supply the correct type as they MUST be replaced with the same profiles item. 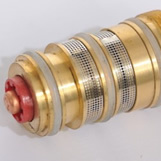 Thermostatic Cartridge with Vernet Wax Sensor. 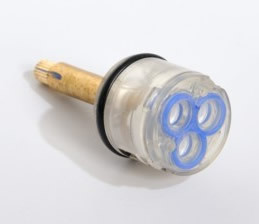 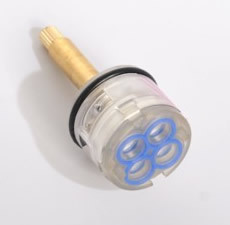 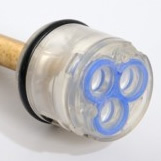 This item has the identifiable Blue coloured end and contains a Vernet Wax Sensor to provide a much higher level of reliability and temperature control over other types. 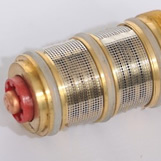 Can be fitted as a direct replacement for Type 8 Cartridges. 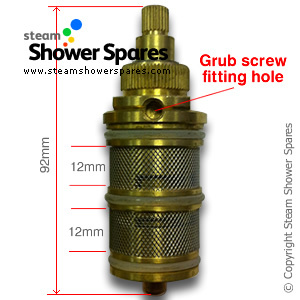 3 way Divertor core for 3 dial thermostatic shower valves. 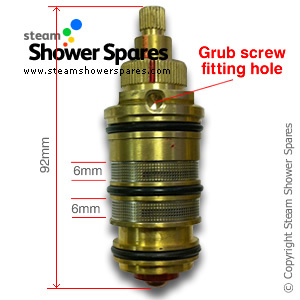 5 way Divertor core for 3 dial thermostatic shower valves. 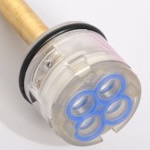 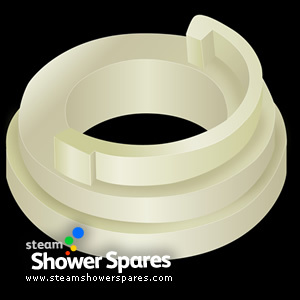 33mm - 3 way Diverter core for 3 dial thermostatic shower valves. 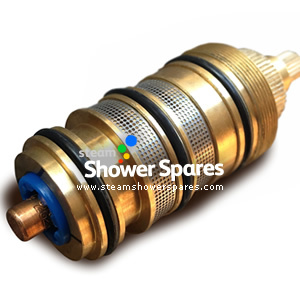 4 way Divertor core for 3 dial thermostatic shower valves. 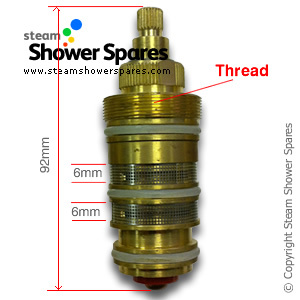 6 way Divertor core for 3 dial thermostatic shower valves.